Public Statement ?The Two-Land Dhamma Yatra? Skirmishes along the Cambodia-Thailand border have recently brought about losses of official and civilian lives and their properties. The disgruntled mentalities of people in the two lands and their relations are deeply wounded, almost beyond healing. Nevertheless, Cambodia and Thailand are a haven of Buddhist believers. Most people?s livelihoods are deeply rooted in Buddhist culture and between human to human, people of the two countries living along the border have been sharing strong kinship and neighborhood. Amidst the escalating armed conflicts which have caused grievances equally to people of the two nations, a fervent call for an end of violence is thus heard. 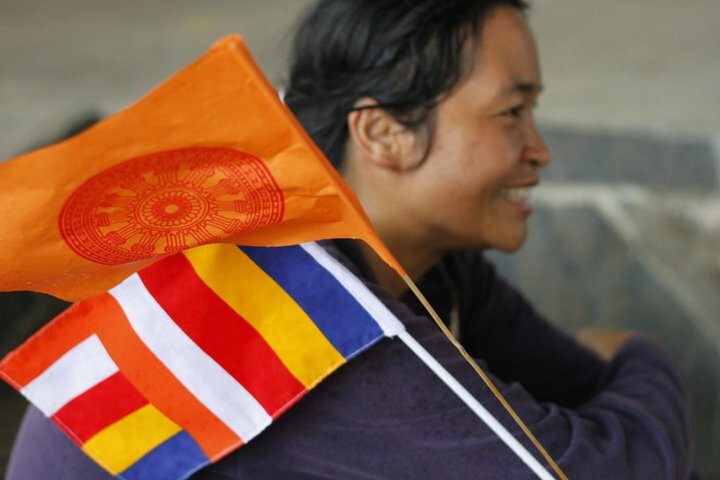 The Two-Land Dhamma Yatra is a mechanism through which small people in Cambodia and Thailand who are unarmed and have no political power to express their will to live in peace and harmony to the leaders of the two countries and to the world. The people of Cambodia and Thailand are gathered here as representatives of the two nations. We are here to assert our determination to forge peace, amity and sisterhood among us. 1. We respect our mutual sisterhood and neighborhood as well as our time-honored shared culture. We are certain that the good relations we have had shall span long into the future. 2. We express our condolence to the violence and losses inflicted on officials and civilians. We are certain that people of the two nations do not want violence and skirmishes along the border. May the governments of the two states halt all armed conflicts, large or small, permanently to restore peace and harmony among people living along the border. 3. A proceeding from the previous ASEAN Summit is a proposal to restore an immediate peace. Our hope is governments of the two countries return to the table to negotiate and allow ASEAN to mediate and bring back mutual understanding and cooperation. We understand that negotiation process shall take time, patience and tolerance. We want to convey our support and wish that governments of the two countries and ASEAN leaders find the negotiation successful. However much time it will take, people of the two countries can wait. May governments of the two countries express their maturity and leaderships with a vision to restore peace and harmony for their people. 4. The ASEAN Intergovernmental Commission on Human Rights (AICHR) and ASEAN Commission for the Promotion and Protection of the Rights of Women and Children ( ACWC ) should pay a visit and give moral support to displaced persons within the two countries and help them to pick themselves up from the mutual losses. 5. We hope the governments shall respect determination of people of the two countries and promote sustainable peace and amity among their people.